Maybe you're the type to set off into the woods with only a pup-tent and a frying pan...or perhaps you lumber into the campground with a 40-foot RV with television and all the comforts of home! Either way, author Monte R. Parr wants you to enjoy the wonders of the outdoors in the manner that suits your preferences and lifestyle. 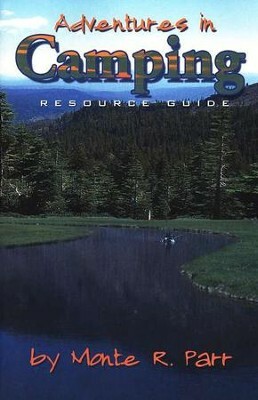 Offering tips on cooking, packing, selecting camping gear, what look for when purchasing an RV, campground etiquette, and other advice learned from a lifetime of camping, this highly readable guide will serve anyone from single people to large families. Perfect for anyone who wants to start camping! 158 pages, softcover. I'm the author/artist and I want to review Adventures in Camping.